A good-looking house, especially after renovation. 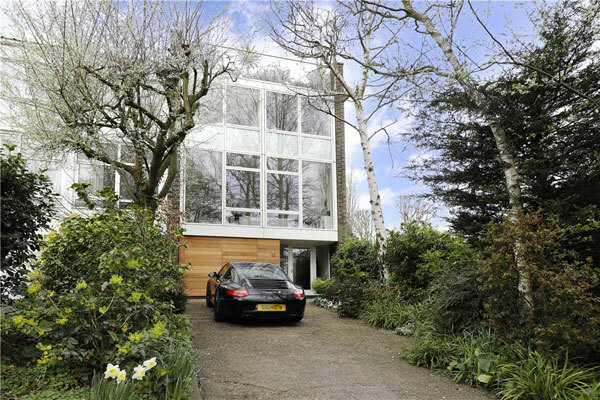 This 1960s modernist townhouse in Wimbledon, London SW19 is up for sale. At least I think it is the 1960s. There?s little background about these houses, but I would guide it is either 1960s or very easily 1970s. Not that it matters, but if I can confirm a year, I?ll update this piece. In fact, I know little about what is described as a ?highly regarded private estate?, located near to both Wimbledon Village and Common. SW19 is a wonderful area for modernism of this area. Check out previous finds to see what I mean, not least the 1960s grade II-listed Richard and Su Rogers-designed Rogers House in London SW19. This place isn?t up there with that, but it does have a number of selling points alongside its location. First off and most obviously, I am looking at the architecture. This is a modernist townhouse at the end of the block and unmistakably of its era. They just don?t construct houses like this in any number these days, which is a great shame.